Dinghies and kayaks are all very well, but there’s nothing like a stand-up paddleboard for exploring interesting new shorelines while giving you a good workout. 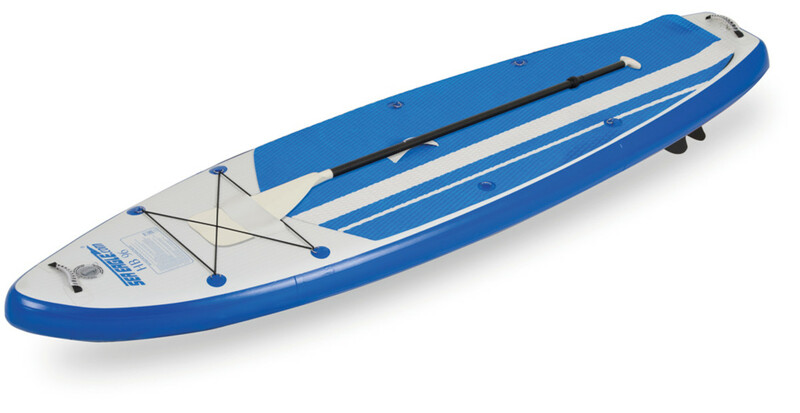 Sea Eagle’s HB96 inflatable SUP makes a fine addition to your boat’s armory of anchorage toys, either on its own or with one or more of the accessories that adds to its versatility—seats, rod holders, even a rowing kit. It comes with a backpack for easy stowage and weighs just 23lb.